Kodak has announced that is intending to stop making digital cameras, pocket video cameras and digital picture frames in the first half of 2012 to "cut costs". The company, who filed for bankruptcy protection last month in the U.S, said that it will instead seek licensees to expand its brand licensing program, while still planning to offer online and retail photo printing, along with desktop printing. Kodak was actually the inventor of the digital camera, pioneering the sensor technology that is now so ubiquitous. Last year, it sold the division that invented and produced sensors, which also produced sensors for other companies, such as Leica. 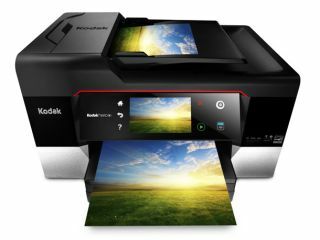 Kodak has also been selling off a growing number of digital imaging patents, as well as suing companies who infringed those patents in recent months in a bid to raise cash. The company estimates that it will generate operating savings of more than $100 million dollars following the move. Writing on the Kodak UK Twitter page, the company said "Today we announced that Kodak is phasing out digital cams [sic], video cams & digital frames in 2012. "Kodak will continue to honour all warranties and provide support as we phase out dig & vid cams and frames. "Kodak will focus consumer biz [sic] on inkjet, online and retail printing," it said. According to the company's website, some of the most recent cameras announced by the company just last month at CES may not be launched because of the move. It also said that it will continue to sell its existing inventory of cameras and imaging products.